In this neck of the woods, we are approaching winter, and the holidays. Most here celebrate Christmas, or a version of it. Christmas traditions are changing and becoming more universal, to respect the fact that we are global citizens together. And we want to respect the traditions of other cultures and beliefs. Here we will have a mix. 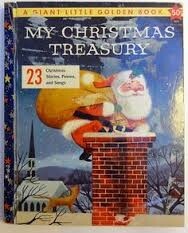 But definitely there will be some traditional favorites here, like The Night Before Christmas. Fancy Nancy is a beloved character in a series of books. The character has been made into a real doll, available from small to big. Of course, Fancy Nancy is in Dolltown at Hiya Dolly! "What could be fancier than Christmas? Presents with elegant wrapping paper, festive decorations, Christmas cookies with sprinkles—and who could forget the tree? After all, there is no such thing as too much tinsel. Ooh la la! This year, Nancy is especially excited about decorating the Christmas tree. She bought a brand-new sparkly tree topper with her own money and has been waiting for Christmas to come. But when things don't turn out the way Nancy planned, will Christmas still be splendiferous?" See Fancy Nancy, the doll on Hiya Dolly's photo Gallery! A site full of dolls! Ana's Alphabet Book A to Z is my own creation. It teaches the alphabet through 26 dolls. 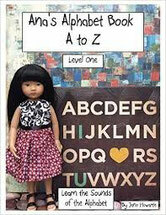 Each doll's name starts with a different letter of the alphabet. Ana's Alphabet Book A to Z is an eBook. It can be read on a Kindle, a computer with Kindle program downloaded, or with a Smart Phone or a Tablet with the Kindle App. The book has a pop up feature on every other page, one for each letter of the alphabet. It has over 54 pages with 26 dolls. It's a book for girls and boys! June 2016 Update Even the used copies start at $49.23 Hardcover...Why? This book by a favorite author, is the story of two dolls who, every Christmas, invite their friends to an elegant dinner party and marionette show. Ivy, Holly, and Mr. and Mrs. Jones all have one Christmas wish. 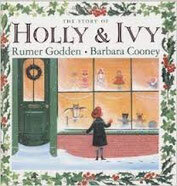 Ivy, an orphan, wishes for a real home and sets out in search of the grandmother she's sure she can find. 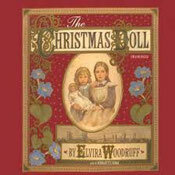 Holly, a doll, wishes for a child to bring her to life. And the Joneses wish more than anything for a son or daughter to share their holiday. Can all three wishes come true? This festive tale is perfectly complemented by beloved Barbara Cooney's luminous illustrations, filled with the warm glow of the Christmas spirit. It is the day before Christmas and the toys in Mr Blossom's shop know it is their last chance to be sold. Holly, a little doll dressed especially for Christmas, wishes hard for her own special child to come and buy her. But the day ends and Holly is left in the window. Early on Christmas morning, a little lost girl finds herself outside the toyshop. 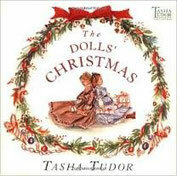 This book tells the story of two orphaned sisters whose lives are changed forever by a magical doll. Not available on Kindle, but new and used hardcovers and paperbacks, at a variety of prices. 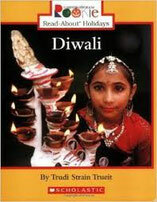 Diwali traditions, for the child who is a little older. This is a part of a series by Rookie Read-Aloud Holidays. It is perfect for reading to a younger child, or for an older child, 6-9, to learn from or to read to a little one. At the back there are pictures with vocabulary words to learn, like diya, mandir, and rangolis. 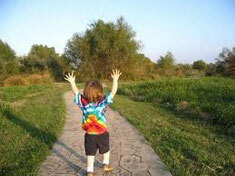 It gives the child the world knowledge to write stories and use the vocabulary. 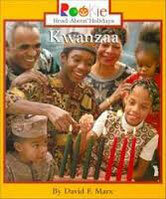 Kwanzaa traditions, for the child who is a little older. 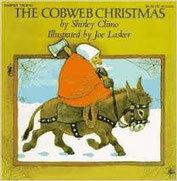 This is a part of a series by Rookie Read-Aloud Holidays. It is perfect for reading to a younger child, or for an older child, 6-9, to learn from or to read to a little one. At the back there are pictures with vocabulary words to learn, like kinara, zawadi, and unity cup. It gives the child the world knowledge to write stories and use the vocabulary. 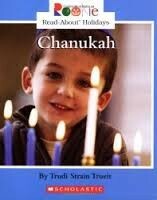 Chanukah traditions, for the child who is a little older. This is a part of a series by Rookie Read-Aloud Holidays. It is perfect for reading to a younger child, or for an older child, 6-9, to learn from or to read to a little one. At the back there are pictures with vocabulary words to learn, like menorah, dreidel, and temple. It gives the child the world knowledge to write stories and use the vocabulary. This is a part of a series by Rookie Read-Aloud Holidays. It is perfect for reading to a younger child, or for an older child, 6-9, to learn from or to read to a little one. 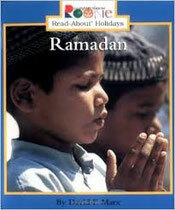 Just the right size and length, youngsters learn about the activities, gifts, food costumes, and dancing that represent the Chinese New Year, and the prayers, duration, traditions and fasting of Ramadan. In the back are words to know. This is a new book for me. It has a nativity scene featured in it, involved in a magical and wondrous act of kindness. This is a "beautiful and satisfying tale" involving an old starving woman ready to help and set things right, despite what has happened to her. And the gift she receives for her kindness to others. 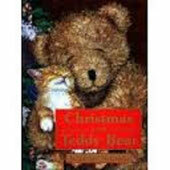 Get out your own books, or check out these two wonderful Christmas themed books. I love this story! Even if it has spiders in it...spoiler alert! This little book is about an auntie, Tante, in a little cabin in the woods. She gets ready for Christmas every year, "Time to clean for Christmas", and cleans until all the dust and cobwebs are gone. But this year as she sits to wait for Christmas magic, it comes in a very unexpected way! I have the older one above.. 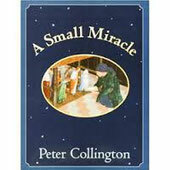 This is a lovely imaginative tale...a favorite for children. 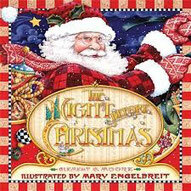 This version (there are so many) is illustrated with the beautiful colored drawings of Mary Engelbreit. This means it is whimsical and full of details. So it is as much fun to look at and talk about the pictures as it is to read the story. This one stays on display on a bookshelf for the holiday season. Highly recommended! For more photos of the dolls in the top picture, and to read stories about them, visit our Hiya Dolly page! Christmas and holiday stories coming!